Earlier this year, my mom gave me popsicle molds. The same ones she used for my brother and me when we were little. Nothing fancy, just the plain Tupperware kind. Little did I realize then that they would be in regular use. 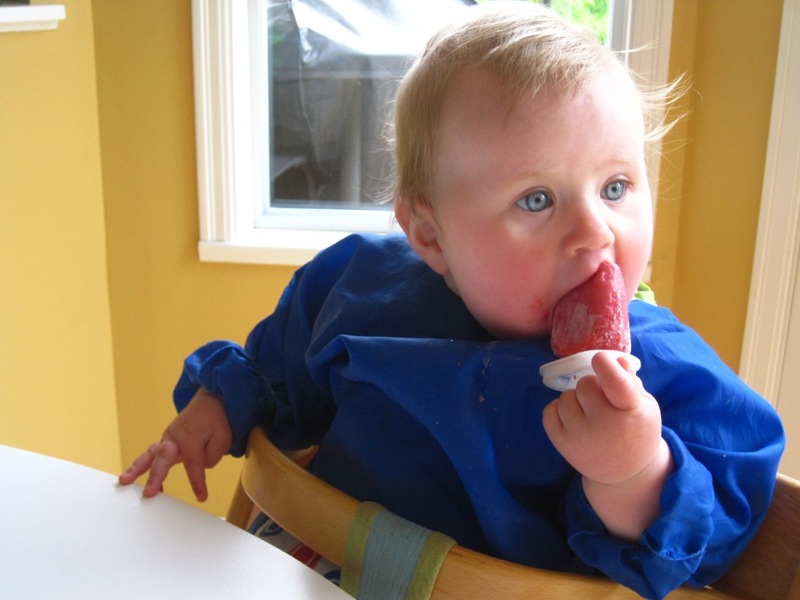 Not surprisingly, especially with the recent heat, popsicles have become Baby’s daily afternoon snack. And I’m having fun coming up with recipes and flavour combinations! I think I’ve created my keeper though. 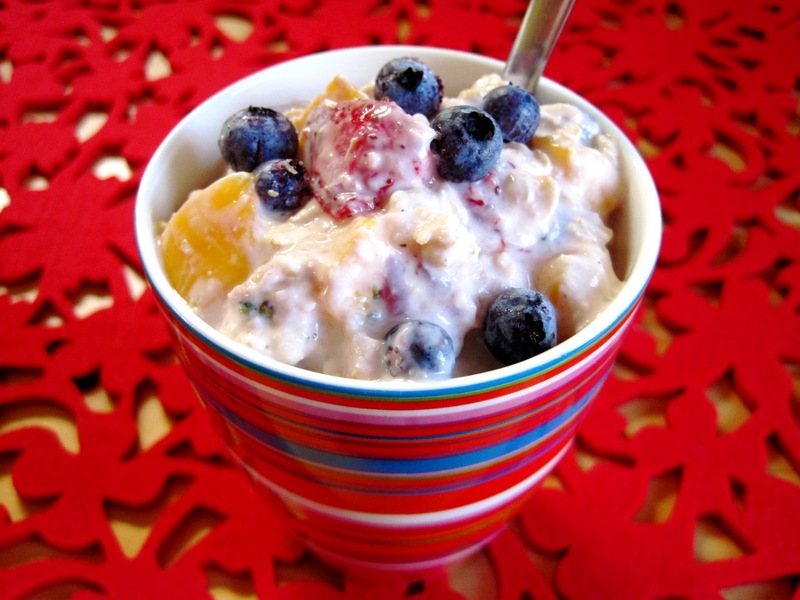 This recipe is healthy and versatile, using whatever fruit is in season. However, it works best with fruit that pairs well with and can stand up to banana. The banana mainly adds sweetness and creaminess, but also a touch of flavour. Think strawberry, blueberry, mango, raspberry… I find that stone fruit like peaches, apricots and plums don’t work well, even when they are super fragrant, same with melon. My two favourites, so far, have been blueberry and orange (using orange juice). Baby eating her first popsicle at almost 10 months. 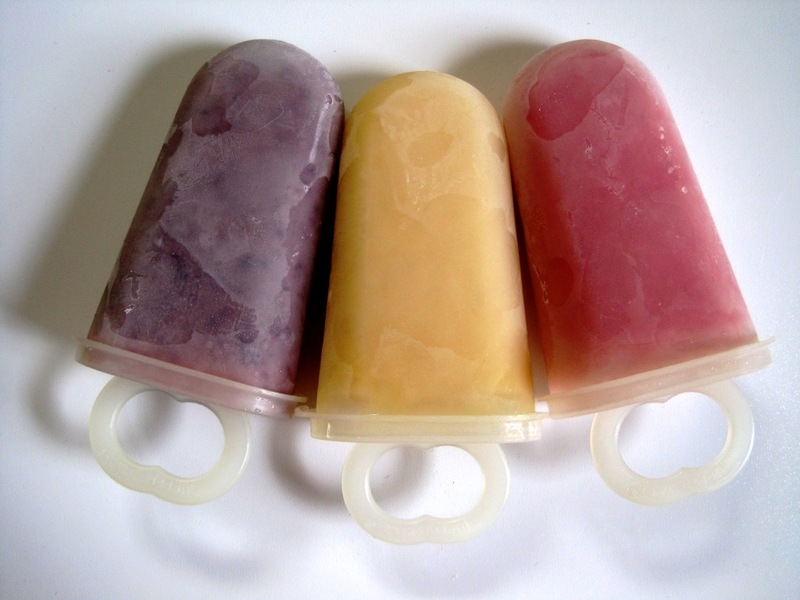 Makes approx 6 quarter-cup-size (60 mL) popsicles. 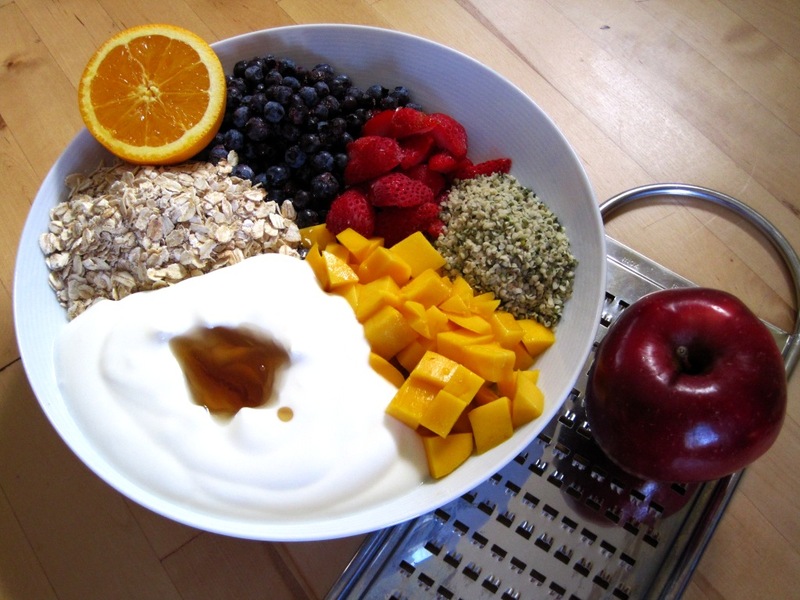 Sometimes I add 1-2 tbsp hemp hearts to the mix before blending. They boost the protein of the finished product, and add some texture.